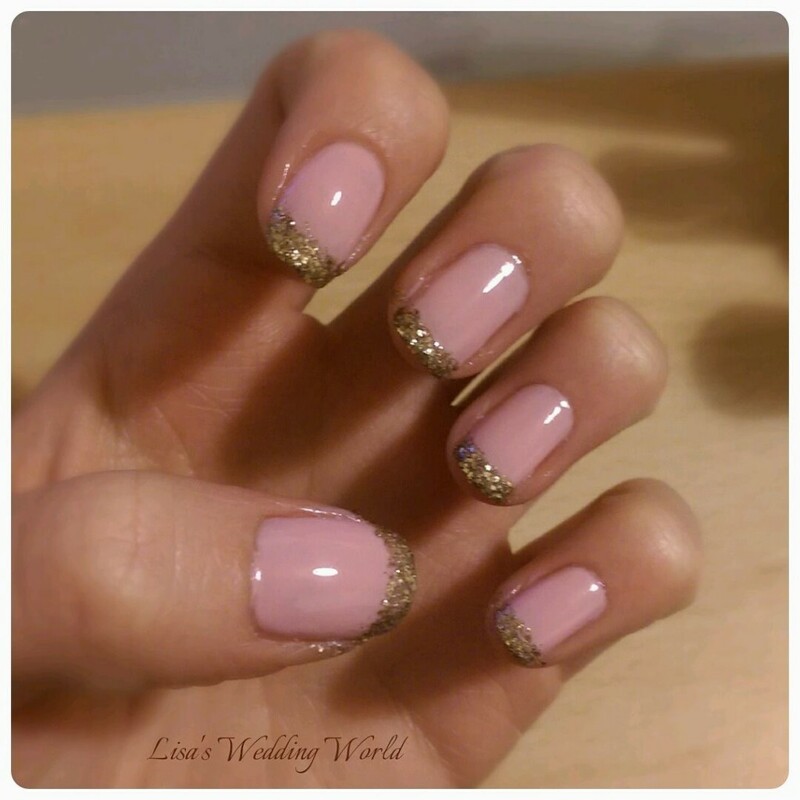 Lisa's Wedding World Nailing the bridal look – DIY Sparkle Nails! Nailing the bridal look – DIY Sparkle Nails! A couple of months ago I did a post on nail looks for brides and bridesmaids (here) which were fun and a step away from the usual French manicure. So this is a follow up on my own DIY sparkle nails! If you don’t feel brave enough to do this style for your wedding, they would be great for the hen party or a Saturday night on the town. I used No 7 polishes. 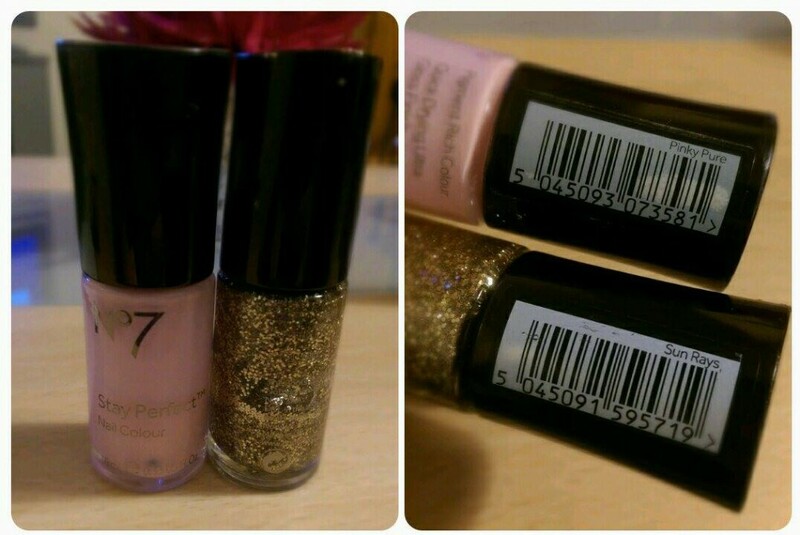 I love them and have had these two polishes for a while so I’m not sure if they are still in stock. The colours I used were Pinky Pure and Sun Rays. Any brand should work once it’s a pink and a gold glitter. I applied 3 coats of the pink to build up the colour on top of a base coat. 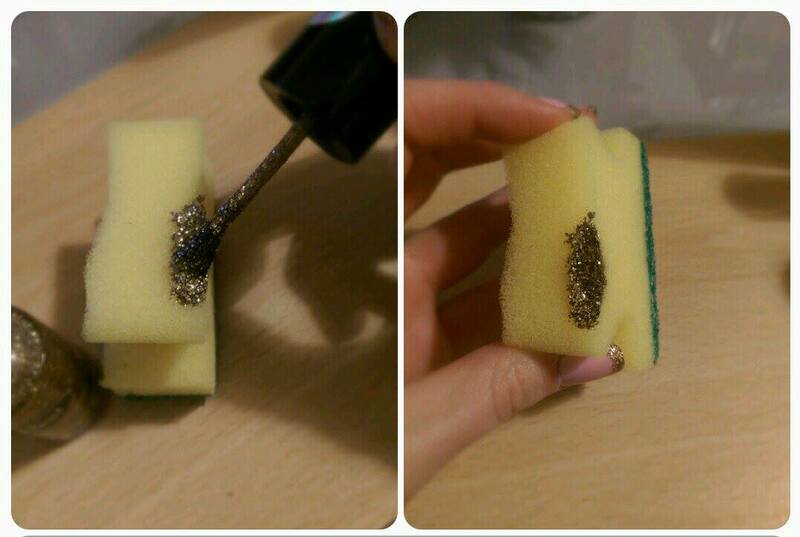 Then I grabbed a clean scouring pad and cut off a piece; you could also use a make up sponge. I painted the gold polish along the edge of the pad and then pressed it onto the tips of my nails. You can do a couple of times to build it up as much as you want. It was so quick and easy to do both hands and an instant sparkle. I finished off with a Rimmel top coat polish. I love this look for summer weddings and parties coming up and can’t wait to experiment with other colours and sparkles! Let me know on my Facebook page what you think of my sparkle nails and if you are going to try them, send me your pics! ← Save that wedding date!